Wow so much for keeping a diary, huh. After day 3 I sorta got stressed out because I didn't have a game design document. I'm never doing that again. 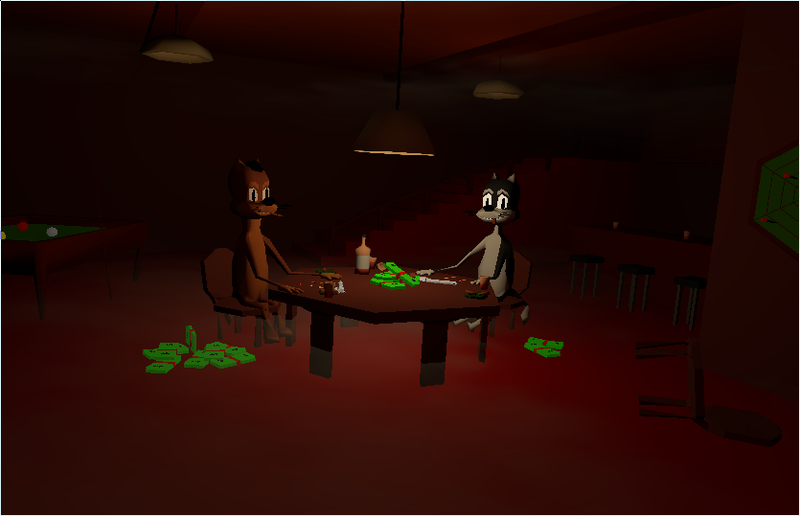 I thought, oh just a small little russian roulette game, no GDD should be fine but, of course, I had to make a character rig with facial animations. Rest assured the game is 90% completed, boasts 6 playable characters, has a definite ending, and there's still 30 hours left. All there's left is sound fx and a little explosion animation, but there wasn't enough time left to remember and write up what I was doing. 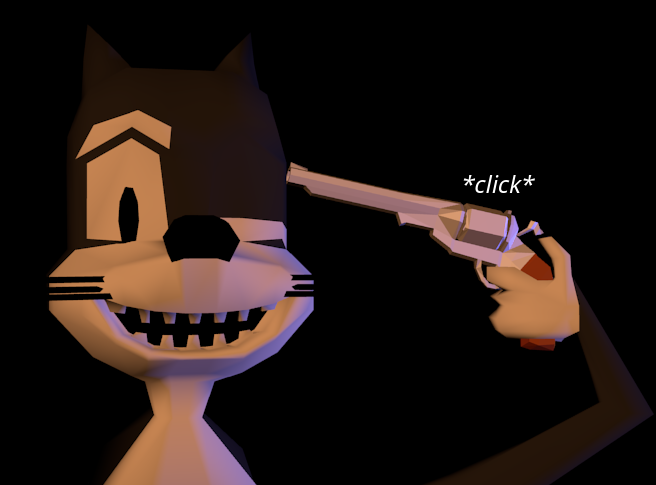 Long story short: panda3d is a really amazing engine with awesome community and blender truly is the queen of 3d suites and python is the glue that holds everything together, my personally written python being more like drowning it in glue, but it works. Yes I know these diaries are a day behind, rest assured I'm writing these about yesterday. 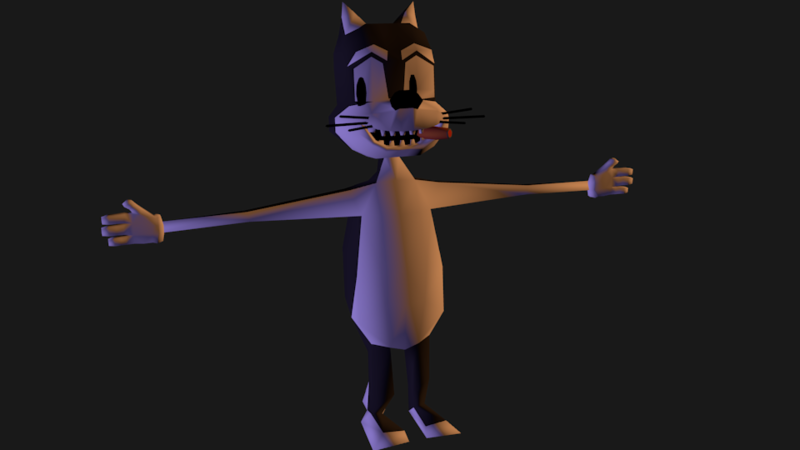 I completed the cat model and rigged it really sloppily to get some testing done. 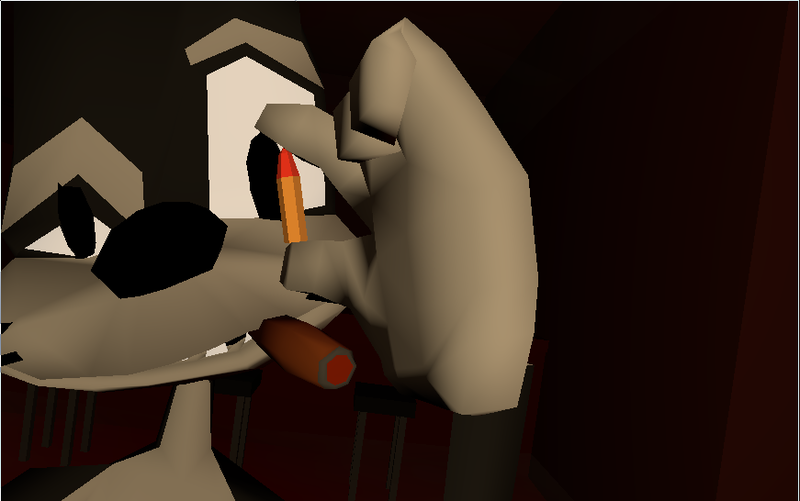 I also gave him a cute little cigar! Yes I know smoking is bad for your health, but not as bad as firing a revolver at yourself. I gotta say this is the best rig I've ever made. The face can do some really crazy expressions. Typing this now I realize he definitely needs a bowl-hat. Other characters will be pretty much the same character in different colors I bet. 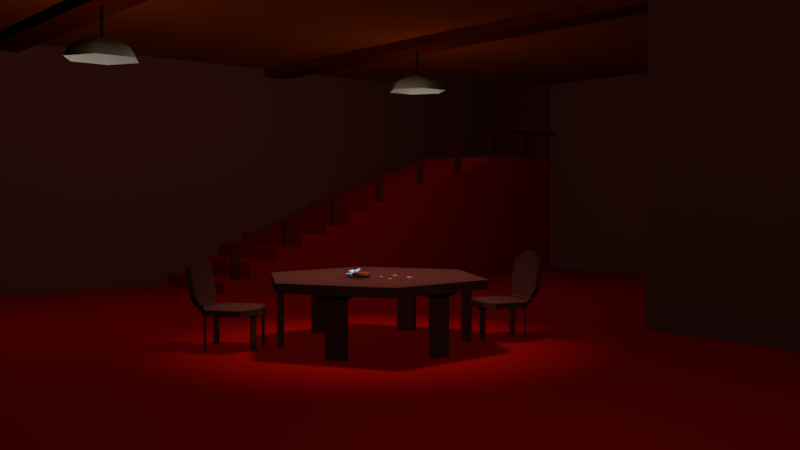 I also modeled something that looks like a dingy basement. 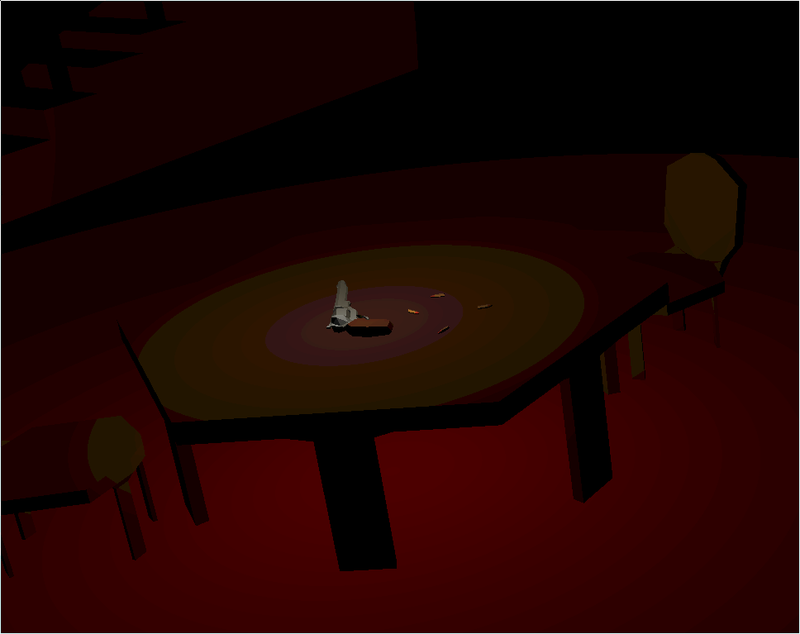 The game won't have pretty shadows like this though since my videocard and knowledge about videocards is not all that. 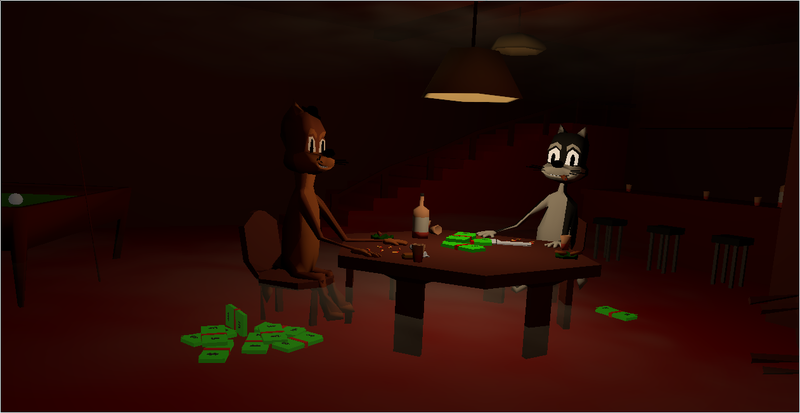 I also switched to something called pman, which will act as a nice bridge between blender and panda3d so I don't have to keep exporting my models. Hoorah! There was a problem with shaders, but thanks to the wonderful panda3d community this was solved the next day (aka just now). Still have only written about 90 lines of code of which 20 are comments to future me. I should probably start writing more. Also also, I wrote the first entry in the diary and uploaded the first things to the pyweek website. Funny how that works now! Day 1 was spent mostly riding in a train and discussing the theme with my significant other and my friends. 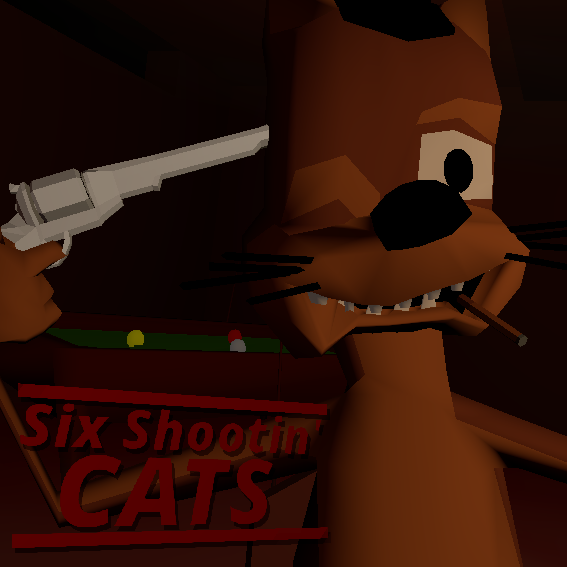 Whenever I brought up the six-shooter, my friends would get excited and mention russian roulette. So it was chosen. 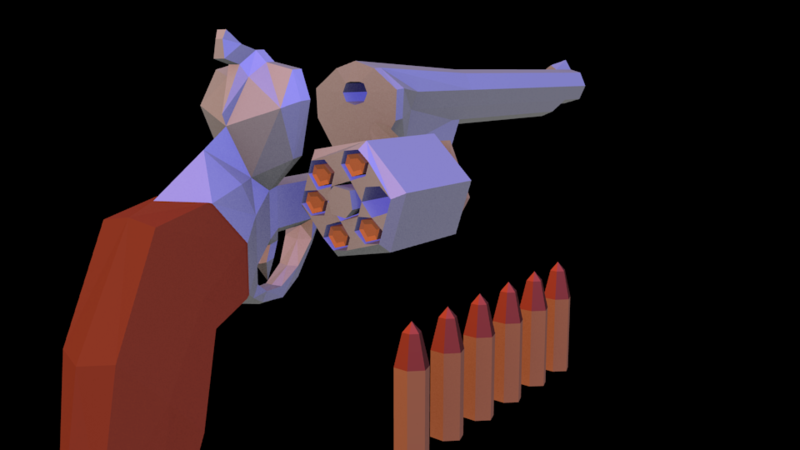 When I got home I immediately started modeling the revolver, which took about half an hour. 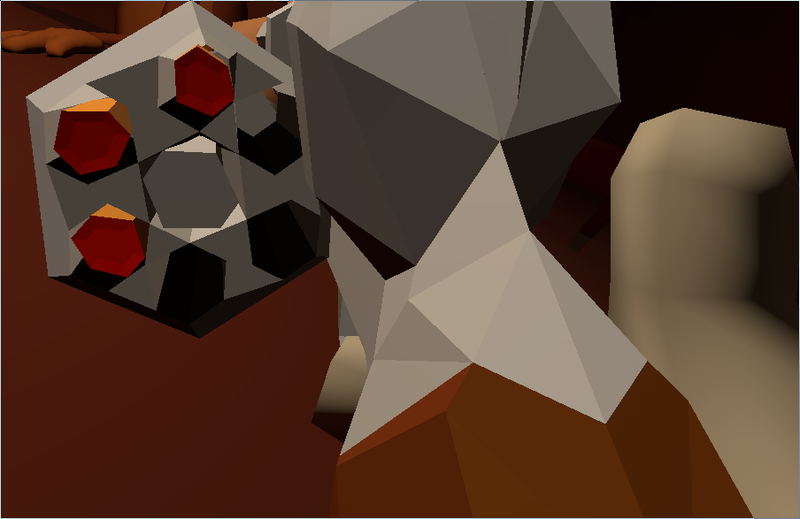 Not having to worry about textures and uv's saves me a lot of time so screw those. Then a friend of mine started talking about having to save up money and lives in a russian roulette game. Saving up multiple lives made me think of cats having 9 lives. 9 is not 6 but it's close enough so screw it. I modelled the cat head after luke vibert's music video for "I love acid", except a bit of my own spin on it. So that was day 1 (and the first 3 hours of day 2) anyway.